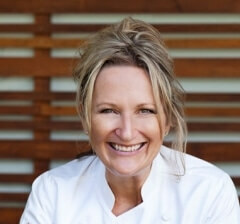 Samantha Gowing is Australia’s leading spa chef and the founder of Food Health Wealth Established in 2000. She is a former publican and hat-winning restaurateur who loved life at the helm of legendary Gowings Grace Darling Hotel in Collingwood before turning her heart and mind to food as medicine. Since changing her fast living ways to become a clinical nutritionist, executive chef, keynote speaker and wellness coach Samantha hasn’t lost her appetite for a good time and wants to show the world you can have your wheat free dairy free gluten free sugar free cake and eat it too. A Melbourne girl at heart, Samantha is now based in Byron Bay where she discovered a passion for surfing. » Are Organics Becoming The New Prada?